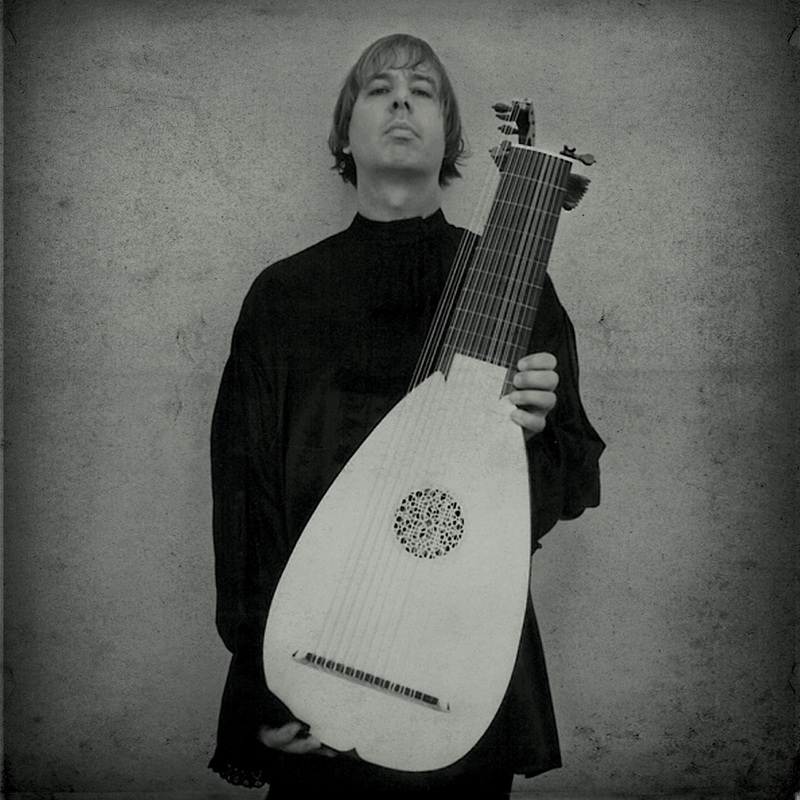 Jozef van Wissem - 10 course Renaissance Lute and 13 course Baroque Lute built by Michael Schreiner, Toronto. Jozef Van Wissem's favorite compositional device is the palindrome. The Dutch-born, Brooklyn-based lutenist plays pieces forward, then backward, creating music that is potentially without beginning or end. Although this strategy is rooted in 17th century compositional practice, it still serves his agenda of rescuing his archaic instrument from history's dustbin. His use of mirror-image structures is as informed by Lacanian psychoanalysis as by centuries-old repertoire. A former guitarist with a taste for country blues, Van Wissem came to the instrument as a way of affirming with his essential European-ness; ironically he used an artifact of the Renaissance to accomplish the decidedly post-Freudian pursuit of self-consciously establishing a self-identity. On an even more symbolic level, by constructing pieces that begin where they end and are therefore potentially endless, he subverts the march of time; why can't obsolescence also be reversed? On other records, Van Wissem has re-contextualized the lute by treating its sounds with electronics, juxtaposing it with field recordings of large public transit facilities, using it to improvise with Tetuzi Akiyama, or enlisting Mauricio Bianchi to transform its resonance into grim noise. A Priori offers his unadulterated take on the instrument, performed without accompaniment or outboard effects. Its sonorities, articulated in unhurried cadences, may sound ancient, but the language of dissonant harmonies, tone clusters, and rare bluesy flourishes to which he applies them is rooted in the 20th century avant-garde, not the time of bards in tights. The way Van Wissem traces and retraces A Priori's seven palindromes, denying the listener any resolution or catharsis, is also pretty contemporary in its attitude of refusal; has there ever been a time besides now when more musicians refuted the expectations of audiences and authorities? A Priori does not reward casual listening. Its slow cadences and well-proportioned tones feel contemplative, but the lack of pay-off makes the music potentially maddening; it actually stymies linear thought. If you want easily approachable Van Wissem, try his album he and James Blackshaw made as the Brethren of the Free Spirit. This record is best approached as obsessively as it was played. Spin it over and over and eventually the pieces really do lose beginning and end, seeming instead to hover in a timeless now. Commissioned by the London National Gallery to make a sound response to a painting in their collection. Van Wissem choose The Ambassadors by Hans Holbein. "On a recent concert tour through Western Europe as a lutenist I asked people what they thought of Hans Holbein's Ambassadors. The consensus was that of a dark static work, dense with hidden and layered meaning. Meant for a private audience, political and religious aspects are mixed together. Above is the crucifix, below is the skull: bones and death; both slightly hidden, they visualize the nature of power. The distorted lute symbolizes brevity and the ephemeral nature of life, it's broken string also sends a message that all is not well between these two empty eyed friends. And the long ignored lute case under the table symbolizes feelings not shared. 4. After the fire has devoured all it will consume itself. A palindrome is a word, phrase or sentence that reads the same backward or forward. In its beginning is its end. Time is no longer linear, but circular, past and present confused. 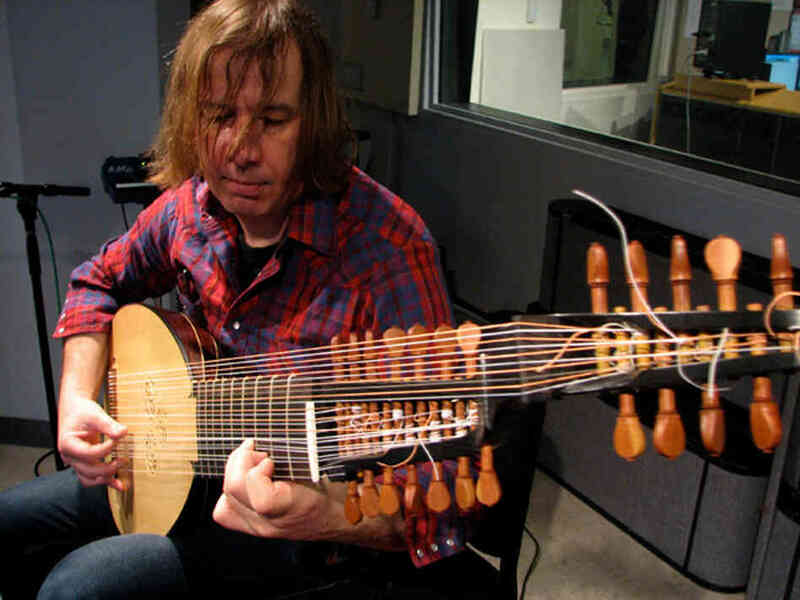 A perfect metaphor for the music of Dutch lutenist Jozef van Wissem. 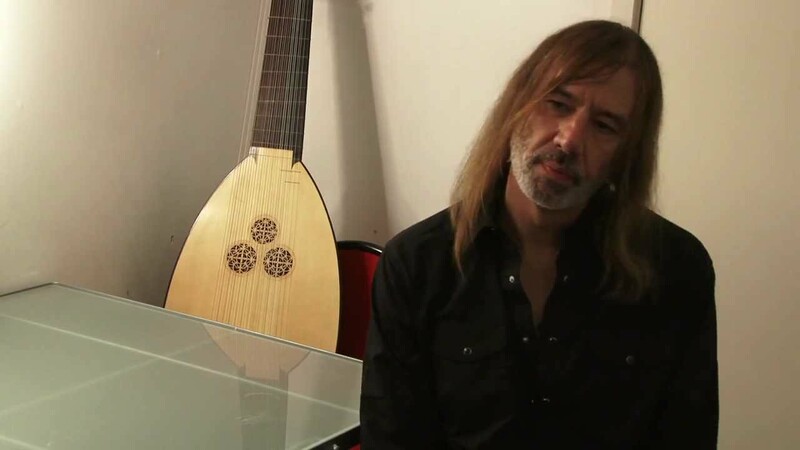 Born in Maastricht in 1962, van Wissem took up classical guitar at age 11, and soon discovered transcriptions of Renaissance and Baroque lute music. But the old and the new were soon happily coexisting. Performing a Vivaldi guitar concerto one night and jamming with local punks Mort Subite the next seemed perfectly natural, and Neil Young got as much airplay as Segovia in the family home. When he took up the lute seriously, it was an New Yorker he turned to. "I wanted an American perspective on my own historical background. My teacher Pat O'Brien encouraged me to improvise on classical pieces and write my own material. For the Dutch that would have seemed nothing short of criminal." 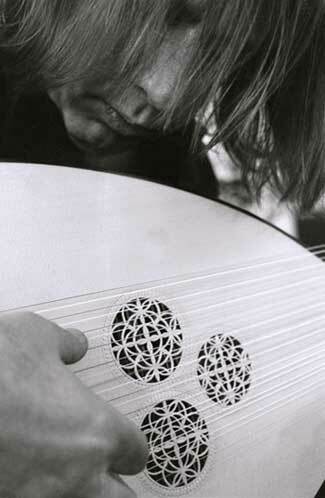 Van Wissem's influences span the centuries, from Dowland to Deleuze, Tennyson to Sacher-Masoch. He also waxes lyrical about Lacan's mirror stage theory. "Lacan describes the formation of the ego as a process of identification with one's own specular image; the mirror leads to tension between the subject and the image. I wanted to find a musical parallel to that. Hence palindromes." He began experimenting with lute tablature. "I decided to write it backwards so the pieces would be more open-ended, and end unresolved. Tablature shows you where to put your fingers on the frets, as opposed to normal staff notation which just gives you the notes," he explains. "I use French tablature, the most common. German is too esoteric - there's a different sign for every position - and I don't care for Italian tablature, because I think Italian lute music is horrifying.
" In the same way his notational experiments reconfigure Renaissance lute music into palindromic original compositions, van Wissem uses software to edit his own field recordings into musical mirror images. On 2005's Objects in the Mirror are closer than they appear, he confronts the past / present dualism head on by juxtaposing lute music with recordings made during his travels in airports. "An airport is an acoustic commentary on contemporary society: nervous, alienating and claustrophobic. But it's also like Nature. For me the squeak of suitcase wheels is like birdsong. One day I heard somebody sobbing, and the rest of the airport was quiet. That made a big impression on me. I had to to record it." He describes his forthcoming solo release Stations Of The Cross as a follow-up to Objects, "a commentary on the religious experience of travellers who gather in airports and railway stations. A sort of Mass." Once more it mixes ambient sound with van Wissem's compositions for Renaissance and Baroque lutes. 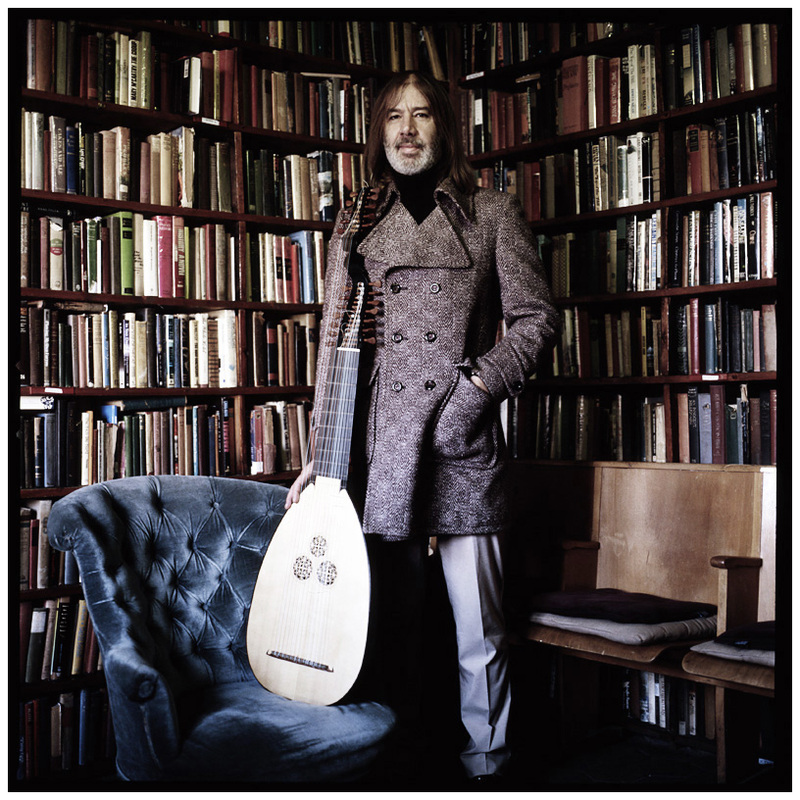 "I want to take lute music to a wider audience," states van Wissem. Last year's A Rose By Any Other Name was a conscious attempt to do just that, 22 obscure anonymous late Renaissance pieces "picked for their contemporary nature and 'rock' feel. Lamento di Tristano had already been recorded by John Renbourn." Van Wissem also broadens his audience by collaborating with fingerpickers associated with genres and traditions different from his own. To date he's released two albums with former Captain Beefheart guitarist Gary Lucas. "I wanted to combine my roots in Renaissance music with Gary's in Country Blues," he explains. For their first album Diplopia (BV Haast, 2002), van Wissem provided classical and original compositions for Lucas to improvise on. On the 2004 sequel Universe of Absence Lucas repaid the compliment. "Universe is more eclectic and more electronic," van Wissem explains. "More layers, more fuzz. It was recorded in several different places and took longer to do." A tour of Japan in 2003 marked the beginning of another collaboration with a guitar original, Tetuzi Akiyama. Proletarian Drift, recorded live at Tokyo's Gendai Heights, begins with an exchange of isolated pitches, then chords, and ultimately melodies, as the two musicians gradually discover their common language. This year's sequel, Hymn For A Fallen Angel, was put together differently (see Wire 279). "I recorded Tetuzi at home using a program called Garageband and added my lute later," van Wissem recalls. "In Garageband I could 'see' Tetuzi's notes coming, so I was able to synchronize more, and give the music more space." Hymn is on van Wissem's own Incunabulum imprint, whose name also refers to the past (an incunabulum is a rare early printed document). So does the distinctive austere artwork, culled from an 1882 edition of the poetry of Alfred Lord Tennyson, and the track titles. "I like Tennyson and Swinburne's way with words. I like Swinburne's SM connotations too," he smiles. Van Wissem is a "big fan" of Industrial music - one of the visitors to his Brooklyn home last year was a budding lute music enthusiast named Genesis Breyer P-Orridge - so it should come as no surprise to find another Industrial pioneer, Maurizio Bianchi, on Incunabulum. "He asked me for some of my music," van Wissem recalls, "so I sent him A Rose By Any Other Name with a note saying 'feel free to manipulate the material'. And he did." Das Plateinzeitalter is one of Bianchi's most haunting releases to date, in which van Wissem's lute is almost completely buried (to van Wissem's delight) under a moss of amorphous reverberant drones Bianchi describes as "archaic waves, ancient loops and primitive electronics". He's also provided music for video artist Kathe Burkhart, and has contributed a piece to John Brattin's 20-minute Super-8 horror film The Triumph Of Night. "It's all about communicating between different styles, personalities, backgrounds. It's not up to me to say I fit in any community really."